Gameloft’s Modern Combat series, like the Call of Duty’s and Battlefields before it, is usually a tale of two games. On the single player side, an action-packed (and typically short) adventure with a fantastical story typified the experience while multiplayer is a fast-paced endeavor with plenty of fragging accompanied with some sort of progression system. 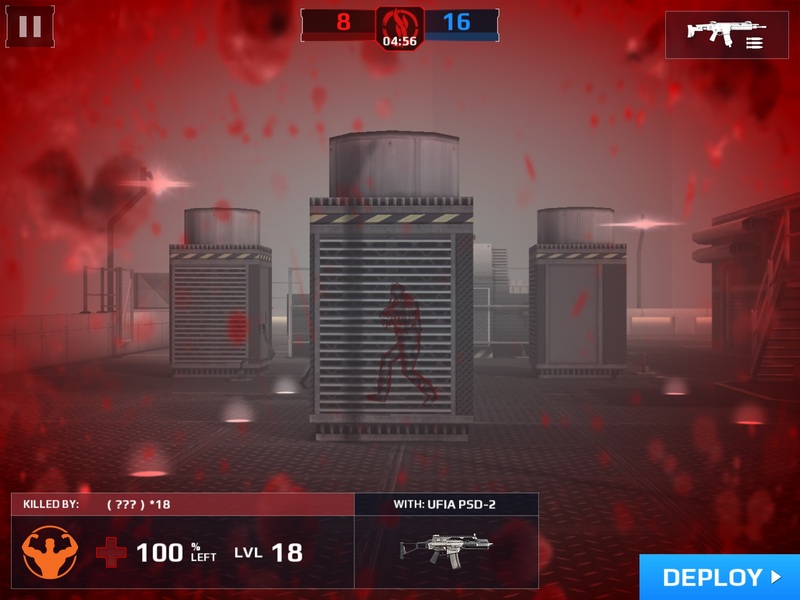 Modern Combat 5: Blackout (Free) fits the bill on the single player side (as evidence by our review), but does a great job expanding the series beyond what’s typically been expected on mobile on the multiplayer side. 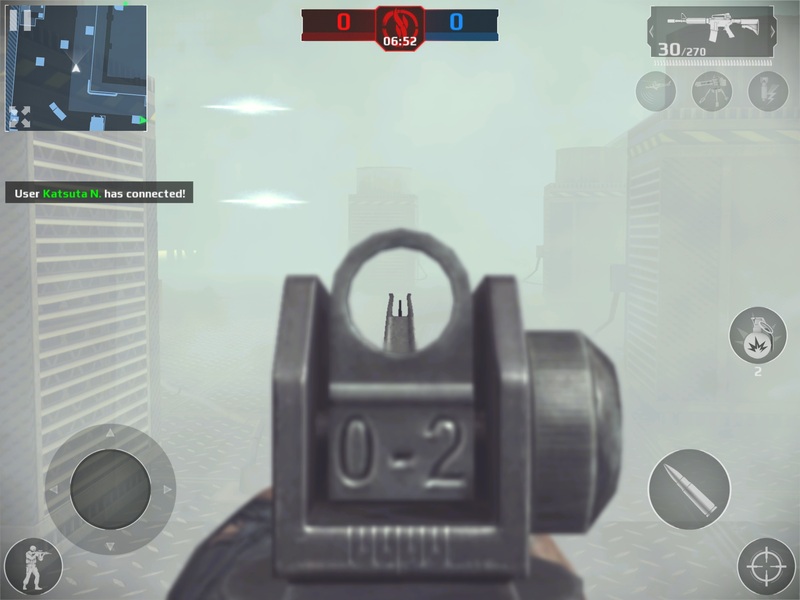 In fact, when it comes to multiplayer FPS titles on iOS, at this point there’s MC5, and there’s everything else. ‘Bigger and better’ is probably the best way to succinctly describe how Modern Combat 5 approaches its multiplayer. Maps are larger and feature more multi-leveled arenas as well as more places to hide and prepare for battle. There are four classes now, each with their own weapons to unlock and ability trees to invest in. For example, the Heavy uses shotguns and grenade launches and can be trained in damage reduction while the Sniper (aside from the obvious sniper rifle specialty) can be trained to launched decoys in multiplayer. There’s enough variety in terms of traits and level selection that makes each class viable in multiplayer. Speaking of variety, I was impressed with the large number of weapons and attachments that can be unlocked in Modern Combat 5. Classes start out with only the first tier weapon unlocked, with subsequent tiers and attachments unlocked via experience, which is earned for doing pretty much anything in the game. Experience also works towards an overall level, which governs distribution of SP (which is used to unlock the above mentioned class traits). An important facet to consider is that there is no IAP in Modern Combat 5; all experience and the associated upgrades must be earned in-game. 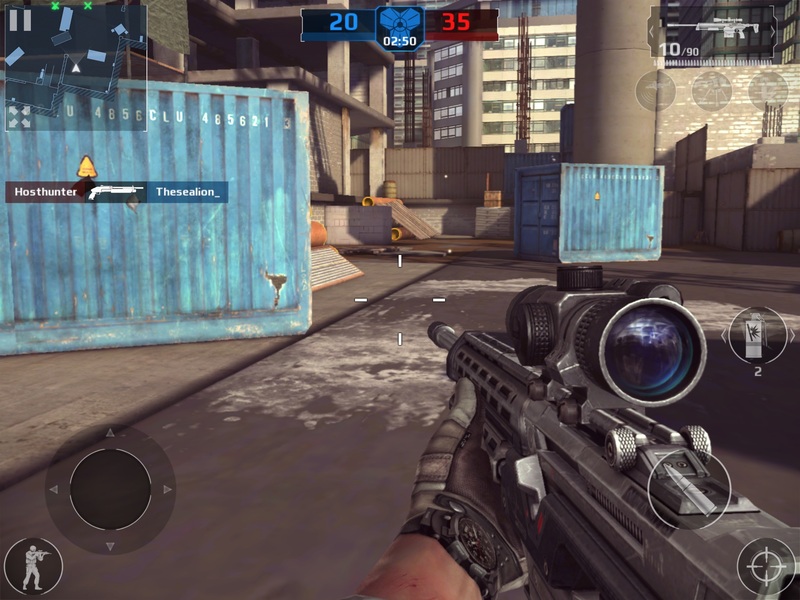 Multiplayer modes in MC5 are varied, but don’t showcase anything that hasn’t already been seen in another game. Basics such as free-for-all, capture the flag and team battle join up with VIP, which challenges players to find and take out the marked player on the other team (a mode that’s increasingly becoming popular with recent games). A Squad system allows players to team up and participate in squad-based team battles (which generates a square MP rating) but doesn’t do much otherwise. It’d be nice to see some squad-based progression unlocks to make things more interesting. Of course, game modes, maps and customizability are all well and good, but doesn’t amount to much if the game itself doesn’t play well. Thankfully, MC5’s multiplayer players pretty awesome. The game plays incredibly smooth, even more so than its single player component (most likely due to the fact MP minimizes the occurrence of visual effects to dedicate more resources to framerate). Controls work as well as they can for being touch-based, with plenty of on-screen button customization and gyroscopic aiming which works better in this sequel. I’ve also encountered next to no lag in the dozens of MP games played since launch. Most importantly, playing MC5’s multiplayer is simply fun. Since maps are bigger and better designed, there’s more of an opportunity to engage in an experience that has the potential to be more than simply ‘respawn, instantly die (or kill), and repeat.’ I’m also a huge fan of the unified progression system as not only are there plenty of weapons and attachments to unlock but there’s also ample opportunity to customize play styles by choosing which of the four classes to invest SP points in. It’s also pretty cool that both SP and MP missions generate experience towards the same progression tree. My complaints with MC5’s multiplayer are few, but are worth mentioning nonetheless. Matchmaking could see some improvement as I’ve had a few occasions of being put into near empty maps (or even worse, being put into a map where a winner is declared seconds after I join). In addition, while I loved the maps I really hope that future updates include more choices to its current limited selection. Finally, its been mentioned in our single player review but MFi support is sorely missing in a multiplayer game of this caliber and I really hope it gets patched in sooner rather than later. MFi support aside, having complaints limited to things such as map selection and matchmaking goes to just how well multiplayer is implemented in Modern Combat 5. Each year Gameloft works towards trying to get its Modern Combat multiplayer experience as close to console FPSes as possible. While it probably doesn’t reach those lofty heights, this is still the most complete multiplayer FPS experience I’ve encountered on iOS and certainly sets the bar for other developers to follow. Great maps, tons of weapons and attachments, a decent amount of class customization and some good variety in gameplay modes makes Modern Combat 5 an awesome multiplayer experience. I’d argue that it’s worth the price of admission just on that aspect alone. Previous PostPrevious The TouchArcade Show – 165 – Hi (Mike’s) Mom!